Lost Slot Jackpot (JP): It happened at the Seminole Hard Rock Hotel & Casino in Fort Lauderdale; patron Jan Flato was playing and paying $50 a spin on a slot machine and asking his “friend” to hit the button for luck. He scored a $100,000 jackpot but the casino gave the friend the money. The Seminole spokesman said the person who pushes the button wins the jackpot regardless of who inserts the money. Analysis: I think this was an incorrect ruling for a number of reasons, the first being their inconsistency. In a different situation, a casino employee watched a machine while a player was called for a drawing. Her friend started playing the machine and won a jackpot. There wasn’t even a discussion or argument about who got the cash, it was the person who inserted the money. In the Seminole Florida case nobody even argued about who inserted the money, both the player (it was even his slot club card in the device) and the girl who floated away with his cash, agreed he was the player. Take-Away: If this happened to me and the JP was, say $1,200, it’s not worth litigating. But, if it was $100,000, like this case, I’d be suing the casino. The best action, of course, is to hit the button yourself so you don’t have to worry about it. But, I do wonder about what would happen if the player was handicapped and required another to hit the buttons. What Happened? 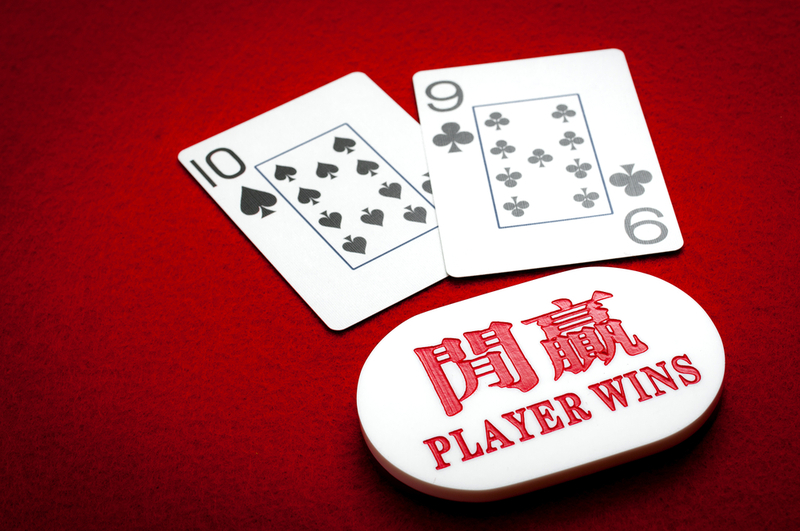 Ivey saw a defect in the pattern of cards manufactured by Gemaco (actually it was Cheung Yin Sun who noticed) used in a baccarat game called Punto Banco. He and a friend convinced the croupier into arranging the cards in a certain way that was advantageous to him. Ivey never touched the cards or marked them himself but took advantage of a gullible dealer. Analysis: Several years ago, I was playing blackjack in a Laughlin, Nevada casino when I noticed a freshly opened deck of cards had minuscule scratches on the 10-pointers (one scratch) and aces (two tiny marks). This was a practice done by cheaters, some actually had a tell-tale long pinky nail for this purpose, but in this case the cards came marked from the manufacturer. So, of course I used this information and made money. I believe that the fault was with the card manufacturer both in my BJ advantage and in Ivey’s case. This has also come up in at the Borgata Casino in Atlantic City who may sue Gemaco, the company that manufactured the purple-backed defective Punta Banco cards, where Ivey also won millions in 2011 by edge-sorting. Significance: Some lawyers are calling the decision made in the October against Ivey case one of the most significant in a generation. That’s because the ruling is a departure from past decisions. In fact, the court of appeals (preceding his UK Supreme Court loss) actually ruled unanimously that being knowingly dishonest was not a necessary element of “cheating”. This definitely has important implications for video poker and other casino games. Final Thoughts: It is important to keep up with the latest casino and court decisions regarding who gets the jackpot cash because some jurisdictions have a casino bias and will side with the house. You need to look no further than the Phil Ivey case where he never touched the cards and was denied his winnings by the courts. The Ivey case was predictable to those who assume corporations are allowed a heavy hand on the scales of justice and expected the U.K. court to side with Crockfords, owned by Genting Casinos. Although some issues have nothing to do with casino clout or profits and still have an illogical outcome. In the May Issue of G&D, Part II of this 2-part series, I’ll explore a surprising Video Poker case that cost the player big bucks. Author Bio: Linda Boyd, a long-time table game player before turning to video poker, writes for “Gaming and Destinations”, “Arizona Player” and several other leading gaming publications. You can see her videos on YouTube or view them on American Casino Guide’s web site and her radio interviews are on iTunes. Boyd’s book, “The Video Poker Edge”, includes free removable pay schedules and her free strategy cards for the most popular games. The latest edition is available from amazon.com, Square One Publishers and book stores. Kindle edition now available.